Startups.co.uk has today announced the Startups Awards 2017 finalists, with a record-breaking 77 incredible new businesses in the running for the 14th annual awards. 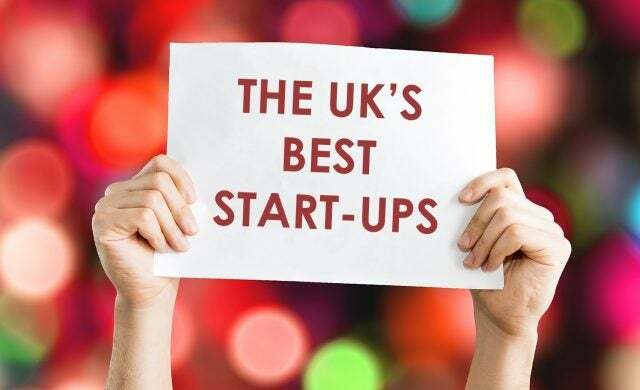 The longest-running awards programme of its kind, each year the Startups Awards celebrates inspiring, exciting and disruptive new businesses – all UK-founded and launched within the last four years – which have achieved remarkable traction and show huge potential for future success. With an industry-wide reputation for recognising start-ups who are destined to do great things, previous Startups Awards have awarded accolades to businesses which are now household name brands, including Notonthehighstreet.com, Ella’s Kitchen, The Cambridge Satchel Company, Propercorn, Appear Here, Purplebricks and Naked Wines. This year, the awards attracted more entries than ever before, leading us to shortlist an unprecedented number of finalists – a reflection of the UK’s ever-growing and diversifying small business community, which submitted applications in their hundreds. All 77 finalists are eligible for the celebrated People’s Champion Award, voted for by you (cast your vote for the finalist you believe deserves the title most here!) while one finalist will be chosen to take home the title of The Start Up Loans Start-Up of the Year, becoming the awards’ overall winner. View the Startups Awards 2017 shortlist here and place your vote for People’s Champion 2017! Competing across 16 different categories, the 77 finalists are now set to have their entries scrutinised by a glittering panel of judges, including Dragons’ Den investor Touker Suleyman; natural health and wellbeing entrepreneur Liz Earle MBE; Paul Lindley, founder of Ella’s Kitchen; and Debbie Wosskow OBE, founder and CEO of Love Home Swap and co-founder of AllBright – to name only a few – who will select the winners and runners up for each award. The Startups Awards 2017 winners will be unveiled at an illustrious awards ceremony at the Royal Garden Hotel, London, hosted by Oli Barrett MBE on Thursday 30 November. This year’s awards is supported by headline sponsor The Start Up Loans Company, alongside business accountants and tax advisers haysmacintyre; business insurance provider AXA; and domain name registration service 123-reg as bronze sponsors. To find out who this year’s fantastic Startups Awards finalists are – and to vote for your People’s Champion – click here. Share your support for the Startups Awards 2017 and the People’s Champion competition with the hashtag #StartupsAwards!